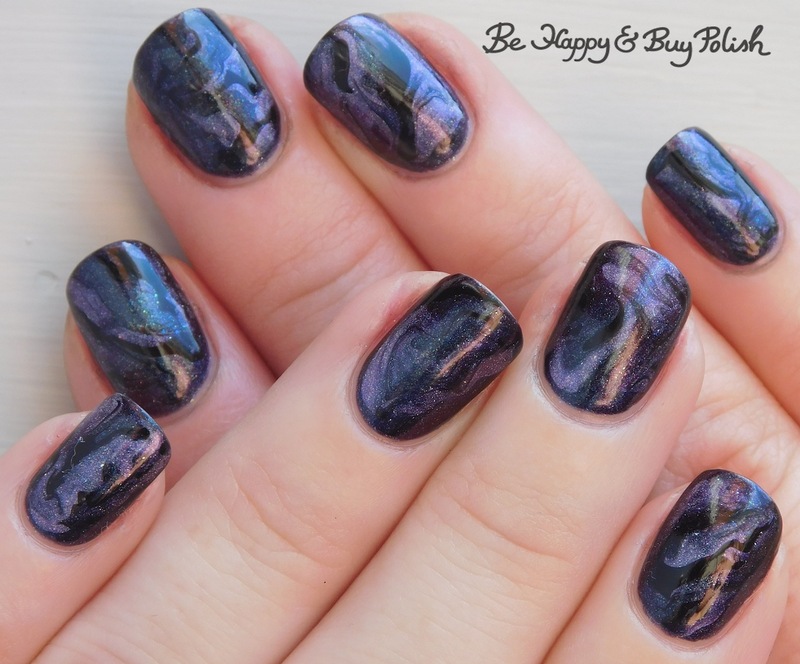 Posted in blog business, Indie Polish, Mainstream Polish, Manicures, Nail Art, pictures, Press Sample	by Jessica W.
I couldn’t wait to show you my current manicure, so here we are. I picked up a few new polishes from Hot Topic and I received a new polish to swatch; while they were sitting together two of them looked incredible together so I decided to combine them together. Buckle up, buttercup, I’ve got quite a few photos to show you! The ONLY Elves on My Shelves is such a shifty polish. The maker describes it as a “blackened base multichrome that shifts from dusty bright teal that shift to reddened purple to a bright fuschia to a greenish gold, dusted with contrasting sparkling shifty shimmer.” I can’t wait to show you swatches because this is an exquisite polish. I was able to find Spirit, Earth, Water, and Air from Hot Topic; I’m unsure if there are any more in the line. 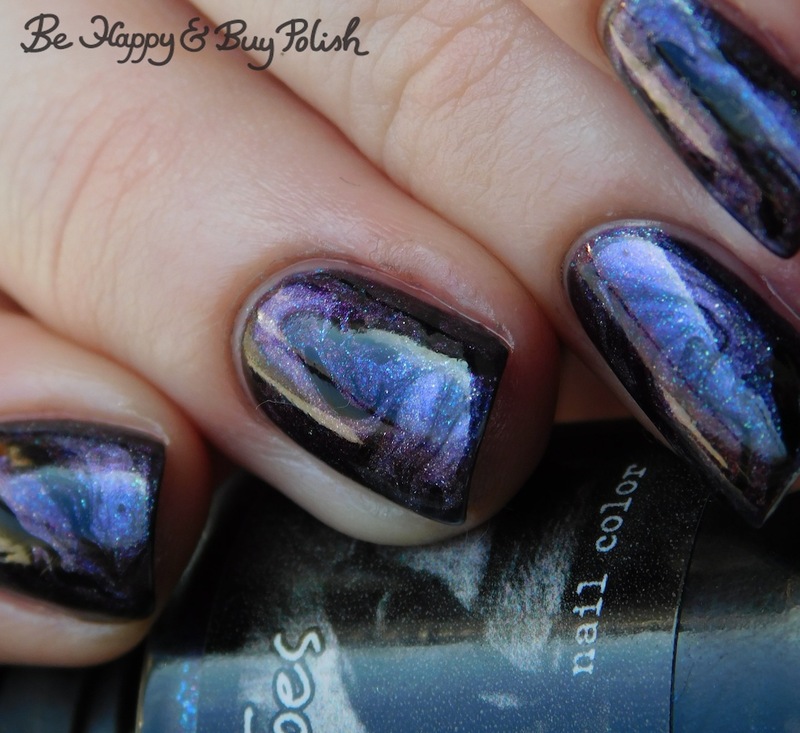 Spirit is a silvery holographic polish with a blue/purple shimmer. 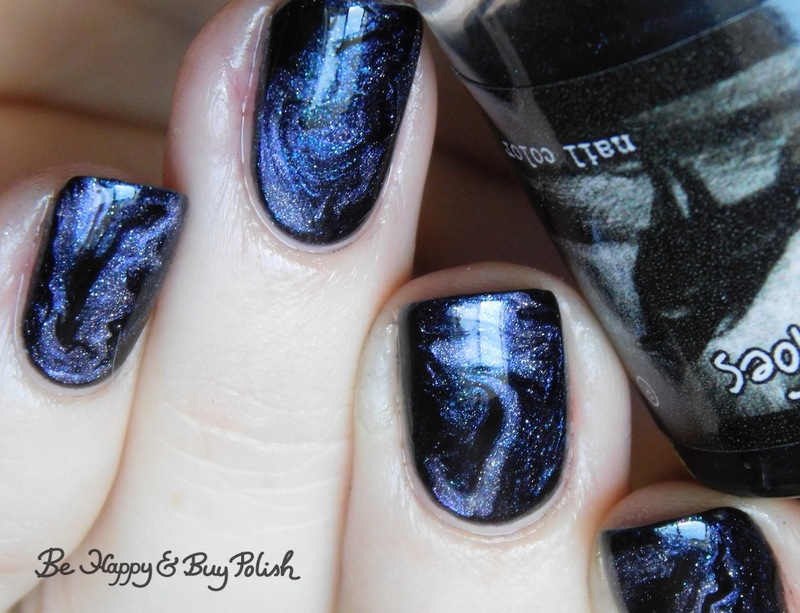 For such a beautiful polish from a mainstream place, it’s incredibly holographic AND it came out to $2.50! 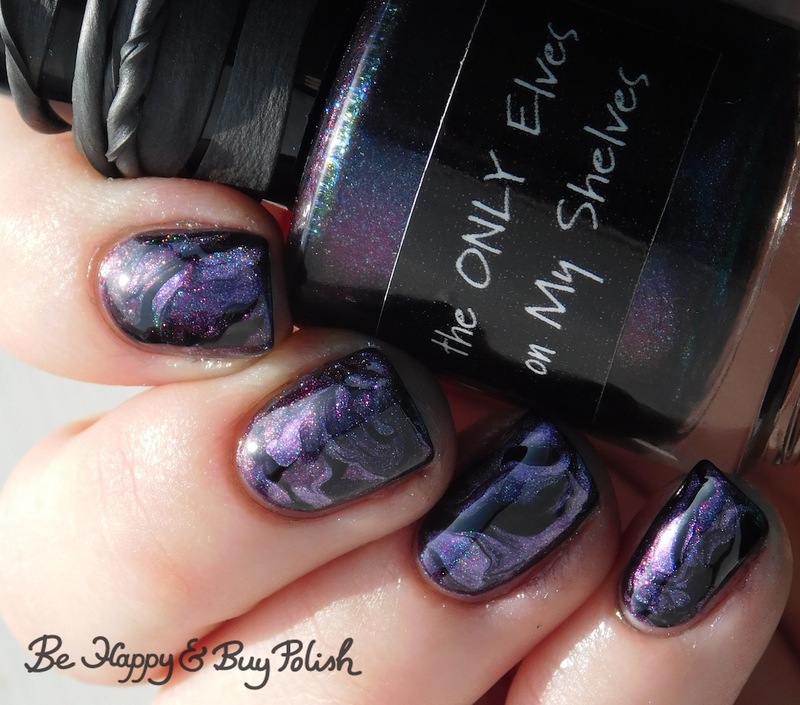 You’ll see swatches of The ONLY Elves on My Shelves hopefully next week, so be sure to stay tuned!